One square inch of your carpet could be home to 200,000 bacteria. This is just one of the many reasons why you should get a professional carpet cleaning every 1-2 years. However, not all carpet cleaning companies provide the same level of service. Without taking precautions, you can easily run into bait-and-switch scammers or incompetent technicians. Thankfully, there are ways you can ensure you’re paying for a high-quality service. Keep reading to learn what steps you can take to find the best carpet cleaning company for the job. Finding the best will require some research on your part. Begin by finding several carpet cleaning companies near you. Put together a preliminary list that includes the website of each business. This will help you keep everything organized as you go along. An excellent website you can use to find local businesses is yellowpages.com. It offers a long list of filters that allow you to narrow your search. Once you narrow down your list to a handful of certified companies, it’s time to look into their reputation. Past customers will give you the best idea of a company’s quality of service. In certain situations, you may be able to get an assessment of a company from someone you know and trust. But you most likely won’t be able to do this with every carpet cleaning company on your list. Therefore, checking online reviews is often the most convenient way to go. For starters, look through Facebook reviews. Visit the Facebook page of the business and click on the review tab on the left side. Just keep in mind that some of these reviews may skew more to the positive side than other sites. For a more critical look at a carpet cleaning company, try using Yelp. The site discourages companies from asking for reviews, which boosts the credibility of each rating. Yelp also prioritizes reviews written by reviewers who post regularly. At first glance, it’s easy to become enamored with companies that have 5-star reviews. However, the star ratings can sometimes be misleading. Make sure to read the body text in each review. Ignore short reviews, regardless of whether they’re positive or negative. Instead, look at thorough reviews that mention specific benefits. Also, pay attention to comments that show up on multiple reviews. While one poor review might not say much, several similar complaints can reveal a serious problem. If you want to get a glimpse at how a business treats its customers, look no further than their responses to negative reviews. Keep an eye out for a defensive tone or disrespectful language. Of course, not all companies respond to negative reviews. Some companies don’t even have any negative reviews. But this step may help you cut a few low-quality carpet cleaning companies from your list. If you want to look further into the reliability of a company, check the official site of the Better Business Bureau (BBB). To get listed on the site, a business must receive accreditation. The highest BBB rating a company can receive is an A+. This demonstrates that the business is in accordance with all BBB standards. An F is the lowest, while companies still under review may have no rating at all. Aside from the rating, you’ll find more online reviews on the BBB website. The site also shows the number of complaints filed with the BBB, as well as the age of the business. Keep in mind that a BBB rating is not a perfect indicator of reliability or service quality. However, it does provide more information that you can use alongside reviews. To determine which cleaning service meets your budget, you need to request price quotes. Once you get to the point of comparing quotes, your list should be down to 2-3 companies. However, when interacting with companies, there are a few precautions you should take. While everyone wants the best deal, it’s not always a good idea to choose the least expensive option. When it comes to carpet cleaning, a ridiculously low price often indicates a scam. Some companies use low prices to lure you in. However, once they actually show up to do the job, you’ll notice the price begin to increase. For instance, they might tell you that a specific type of stain on your floor will cost more to remove. Instead of automatically selecting the lowest price, consider reviews first. Also, make sure you understand what services the quoted price includes. If a company claims they know the best method to clean all carpets, run the other way. While the most commonly used method is steam cleaning, the ideal treatment differs for every carpet. It’s impossible to determine a solution without a full inspection. A good carpet cleaning company will be open to answering your questions at any time. Take advantage of this opportunity to find out more about their services. First, ask them if they’re insured. While accidents are rare, you want to avoid liability for any injuries. Next, don’t forget to ask about certification. Certified technicians can handle dangerous chemicals. They’re also trained to work with modern equipment. Finally, inquire about a money-back guarantee. A carpet cleaning company that offers a guarantee shows confidence in their service quality. The right carpet cleaning company for the job is reliable, trustworthy, and competent. It’s important to check for all three before allowing anyone into your home. Use online reviews and ratings from the BBB to determine reliability and trustworthiness. Also, make sure a company has certification and insurance. 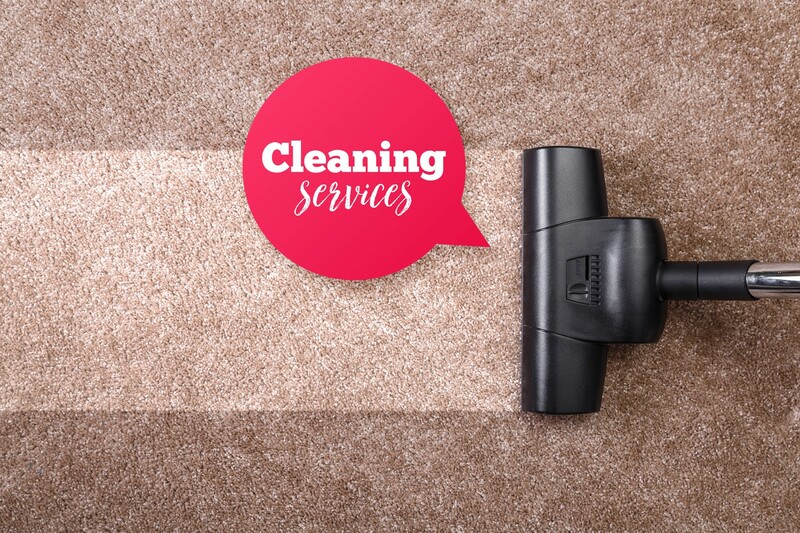 If you’re looking for a carpet cleaning quote, feel free to contact us today!